However, after the announcement of Innovalues’s full year results in February 2016, Heartland Boy re-evaluated and raised his target price to $1.11. At the current price of $1.08, Heartland Boy thinks that his revised target price might be breached in no time. It is also worthy to note that $1.08 had already exceeded the price targets that all the analysts had set. Interestingly, UOB Kay Hian has set a target price of $1.22 if a Merger and Acquisition (M&A) event occurs. UOB Kay Hian justified this by comparing against IPE Group (listed in Hong Kong) that was acquired at a trailing PE of 17.4x. Based on its FY15 results, UOB Kay Hian’s target price of $1.22 would translate into a Price/Book ratio of 4.8, a Price/Earnings ratio of 17.2. Is a M&A event likely to happen to Innovalues? Does Heartland Boy Think a Merger and Acquisition Event Would Happen to Innovalues? To assess the likelihood of a M&A event occurrence, it is best to take a quick glance at the health of the automobile industry which Innovalues operates in. Motor Intelligence reported that deliveries of light vehicle in US are up 3.4% yoy in 1Q2016. 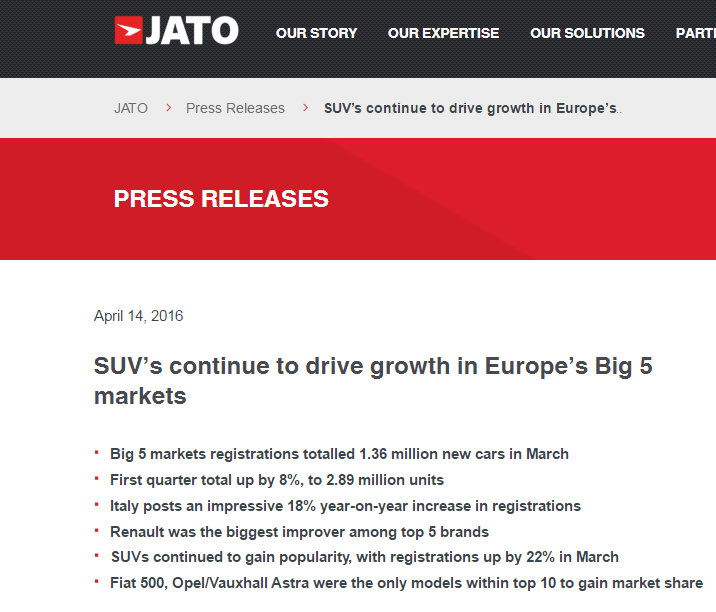 JATO reported that new car registrations in Europe’s biggest 5 markets are up 8% yoy in 1Q2016. China Association of Automobile Manufacturers reported that automobile sales in China rose almost 10% yoy in March 2016. This quick health check shows that the automobile industry is indeed firing on all cylinders. No wonder private equity firms are circling and investors are helping to support the bull run of Innovalues! What Will Heartland Boy Do Now? As the share price of Innovalues started trending towards his target price, Heartland Boy had also received quite a few emails and messages from his readers on his next action plan. Given that Heartland Boy honed his investment skills from Adam Khoo, Adam Khoo would have advocated for simply holding on and riding the bull run. Heartland Boy is intending to do exactly just that. However, if the share price does indeed reach $1.22 and then somehow proceed to retrace by at least 8%, Heartland Boy would sell about 60% of his holding so that his remaining holding becomes “free”! He would then watch the drama unfold without stress, and hopefully without regret too.